New software solutions can improve the way an organisation operates, increase its profits and enhance the working lives of its employees and its customers. Do you need reliable software development? Count on us to deliver. At Ultimate Web Designs Limited we are experts in designing software to your needs, 100% reliable and on-budget. Formulating a well-versed plan with all possibilities in app development. Developing includes the content management system for our distinct clients. After the completion, the site will undergo through a meticulous testing phase. Subsequent to testing, the website will be delivered to the respective customer. We pursue all vicissitudes of the website and maintain it appropriately for an elongated period. If you want to boost your business and get much more development, then you need to deal with the most perfect Custom Software Development Company Auckland, NZ. We are doing our best to provide you with professional solutions that will be on budget as well. 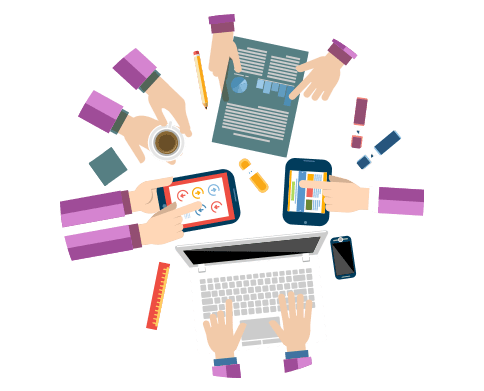 Ultimate Web Designs has extensive experience and our whole team is always ready to develop, design and formulate your ideas and meet all your demands. We have the most skilled programmers who can create apps and games in just no time. We are happy to be the most popular Custom Software Development Company Auckland, NZ and we deeply believe in honesty and transparent working style. Using the most fantastic visual graphics and effects, we ensure that our developers will deliver never-before-seen results. We know what kind of methods to use in order to get your games published on any app store. We also implement such features that are not only engaging but also provide smooth performance. Trust us anytime and we will manage software development for your company based on your needs.